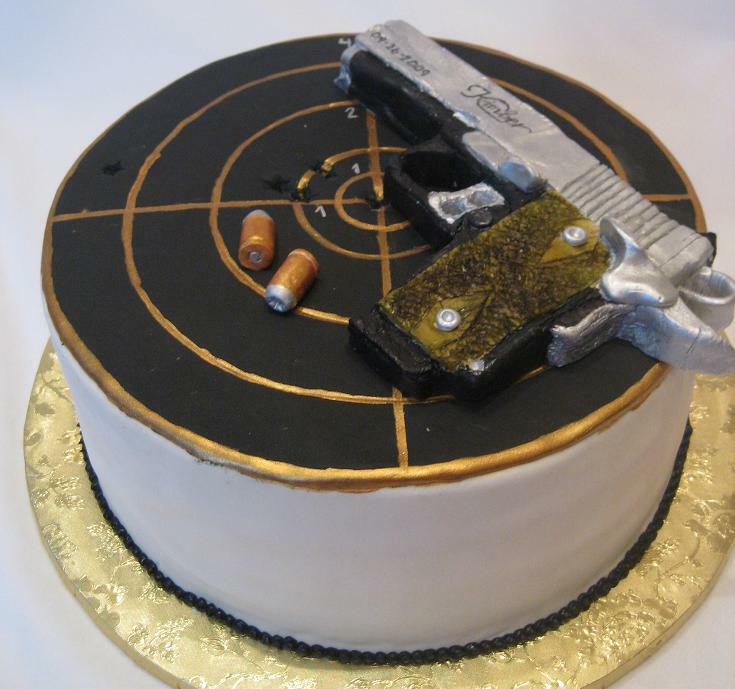 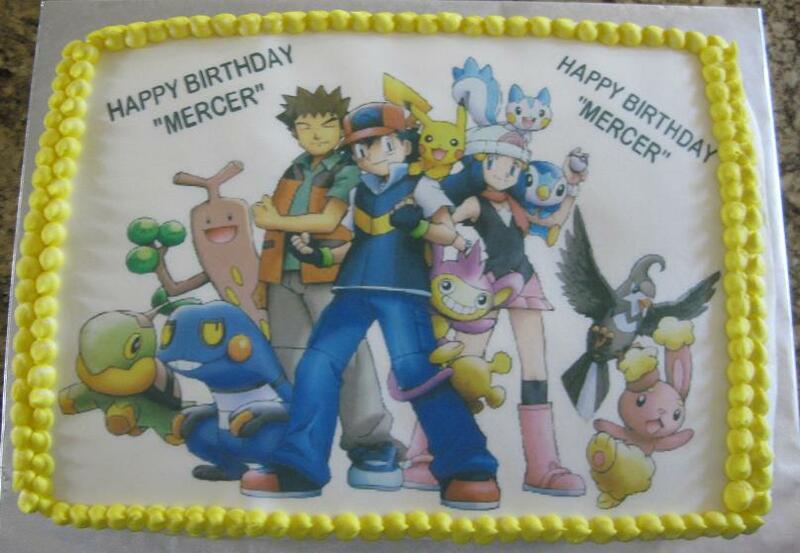 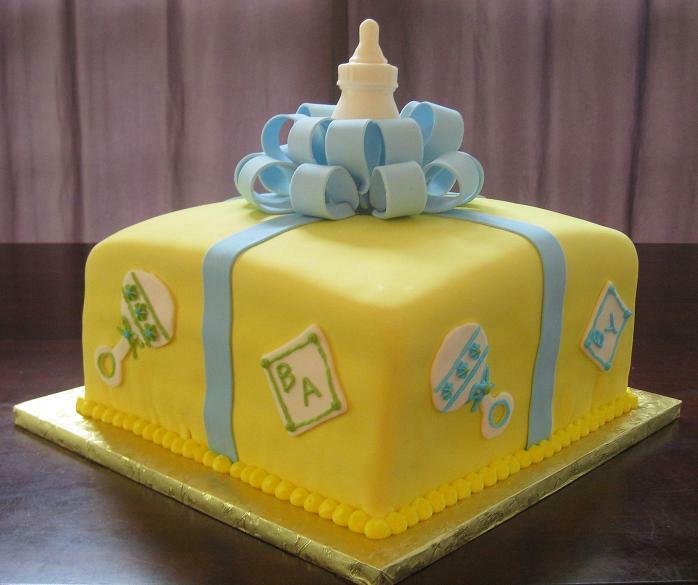 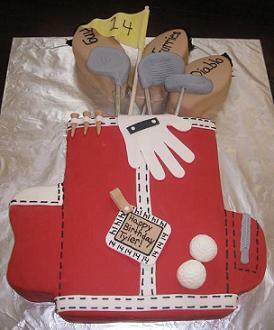 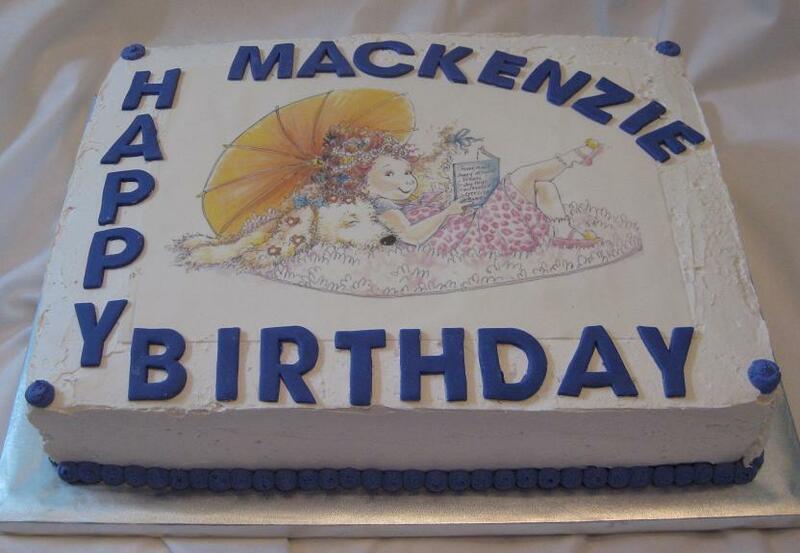 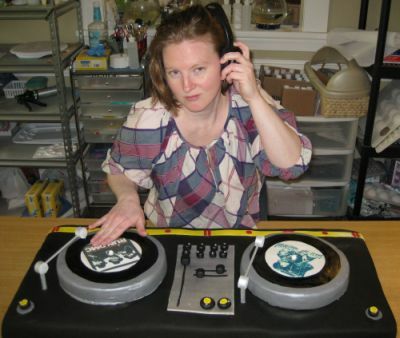 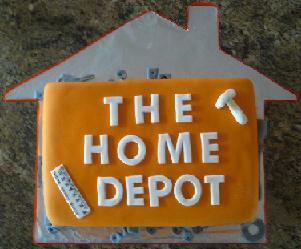 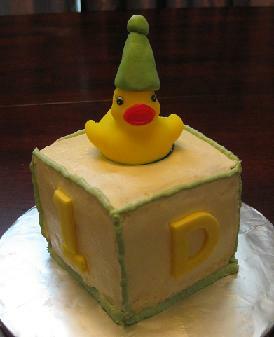 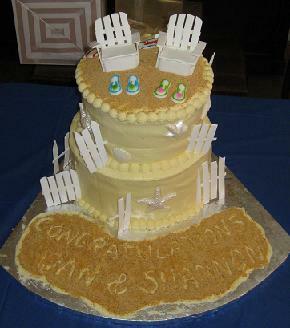 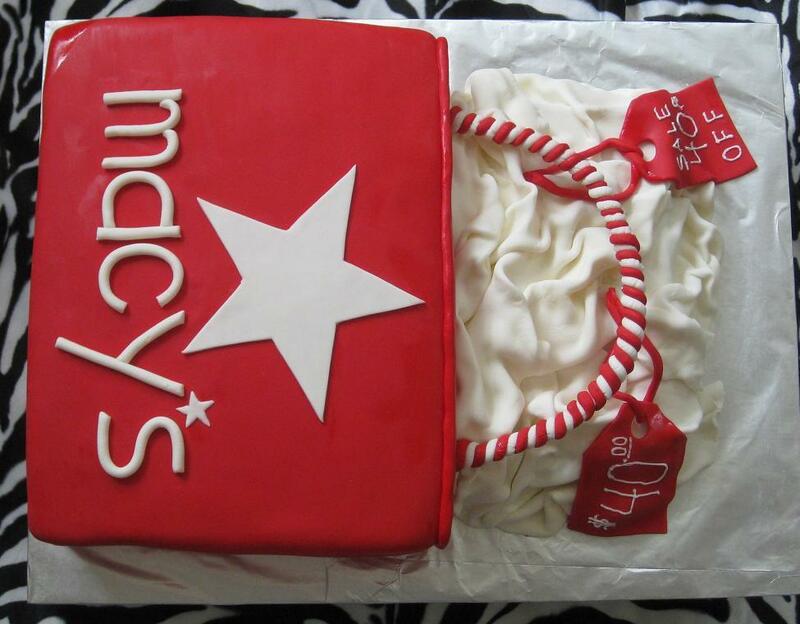 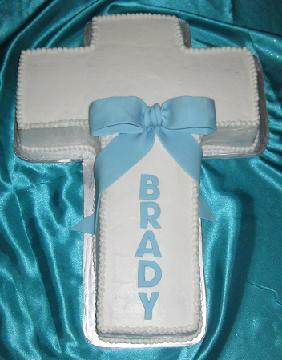 At Piece-A-Cake we take pride in all of our clients cake ideas. 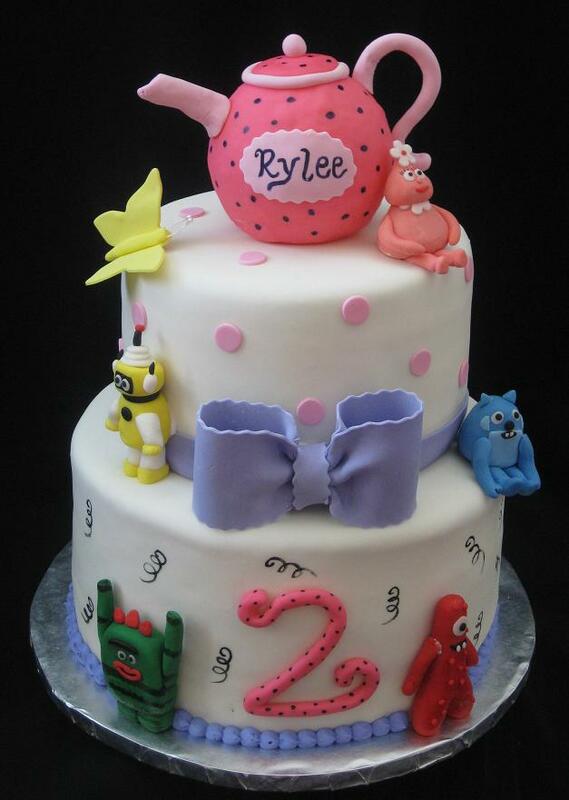 We want each of our cake clients to receive a unique cake product designed exactly to their wishes. 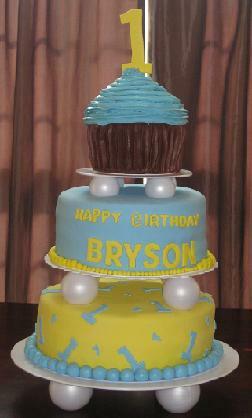 Cakes are baked and decorated fresh the day before delivery. 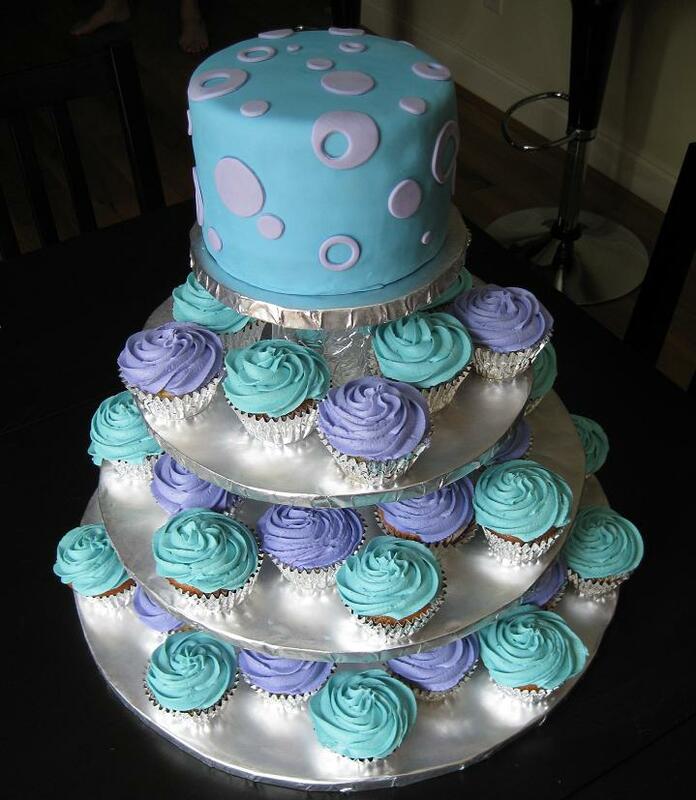 You will never taste the freezer in our cakes. 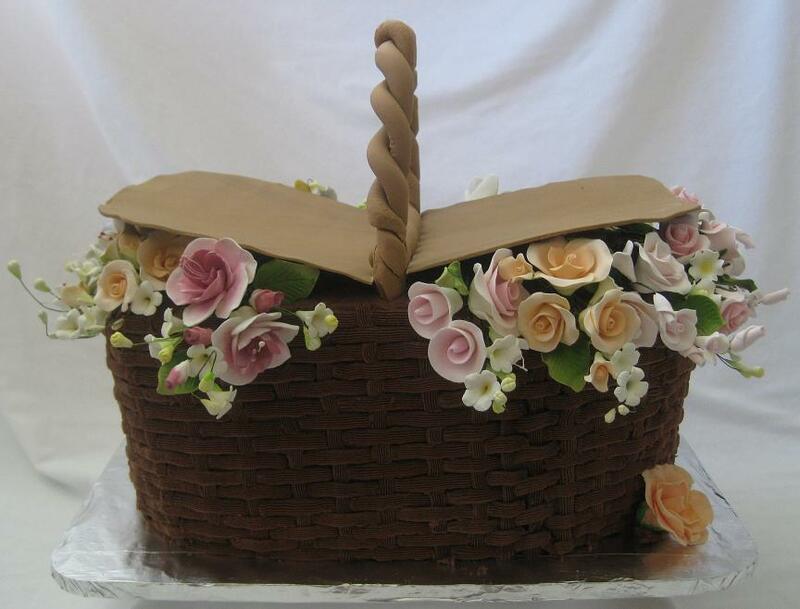 There is some time between when the cake is delivered and when it is placed on our web site. 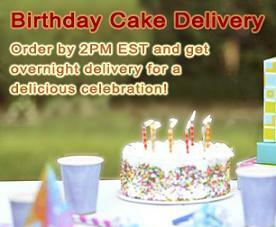 Because of the delay, we place the pictures on this page until we can move them to the proper category on our site. 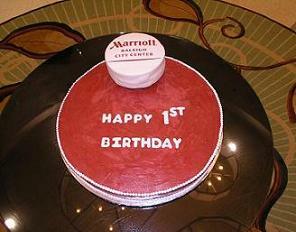 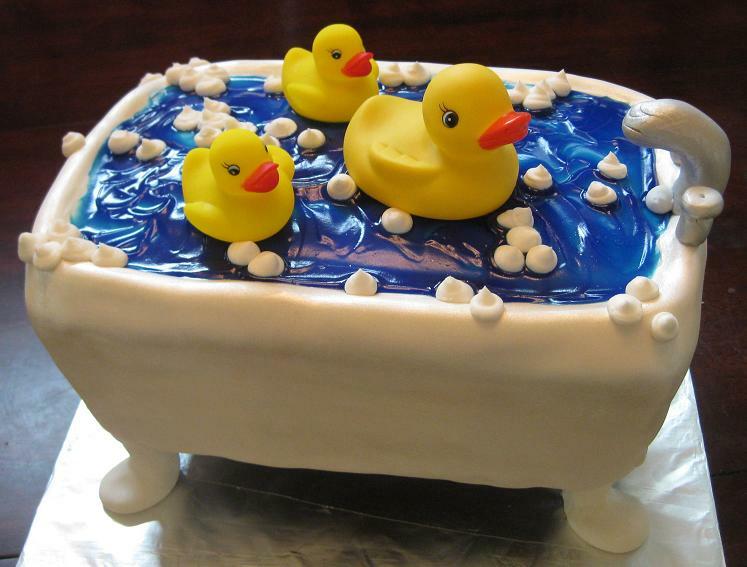 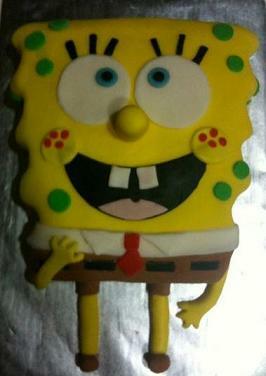 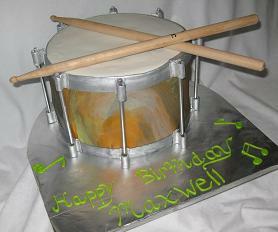 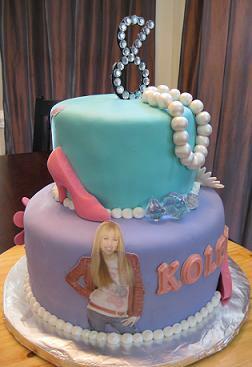 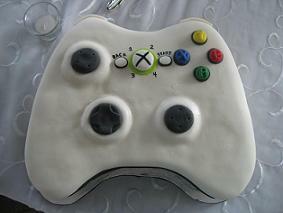 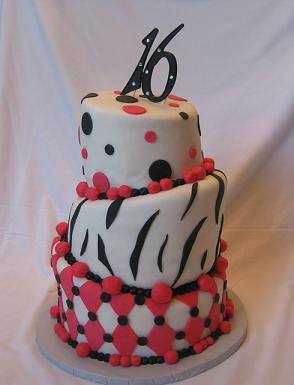 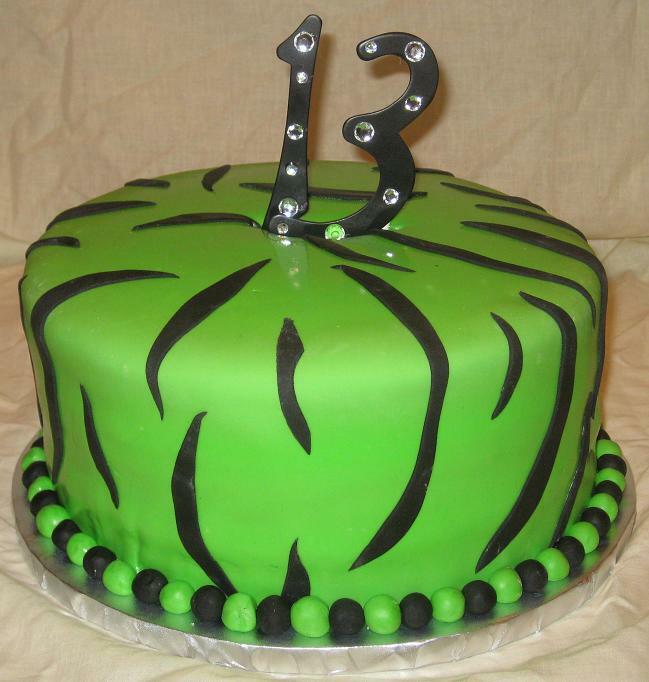 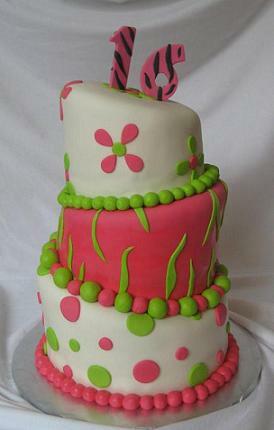 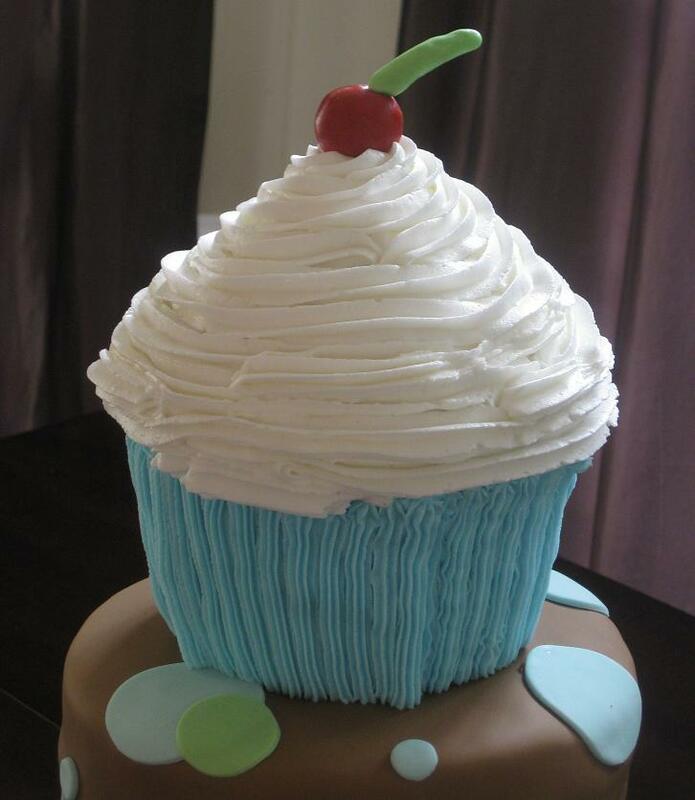 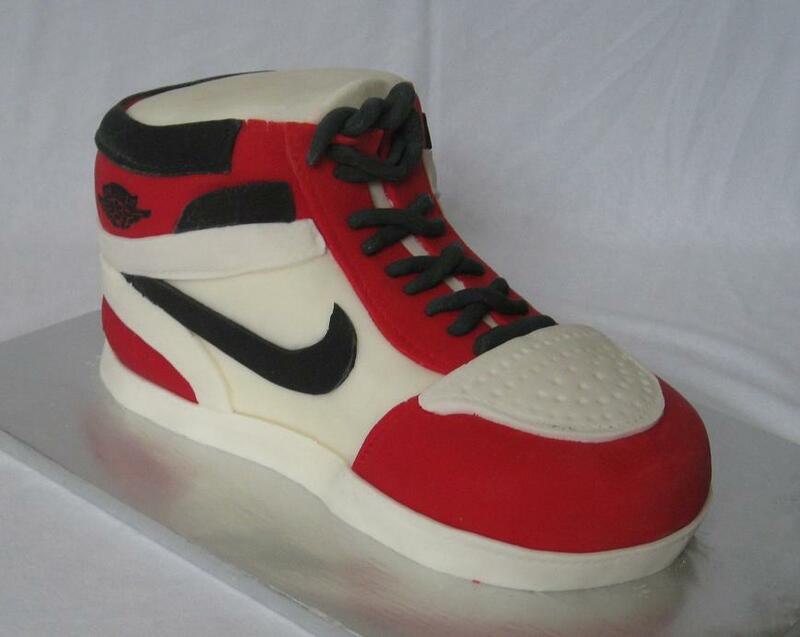 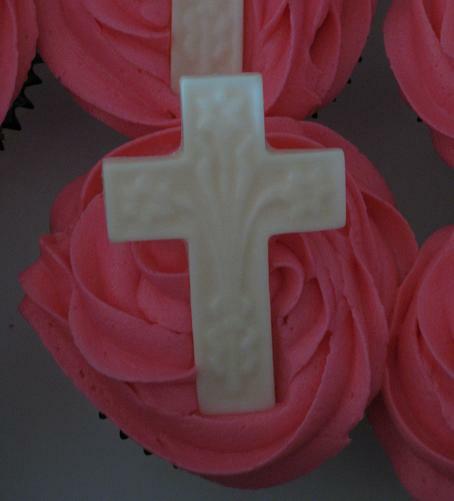 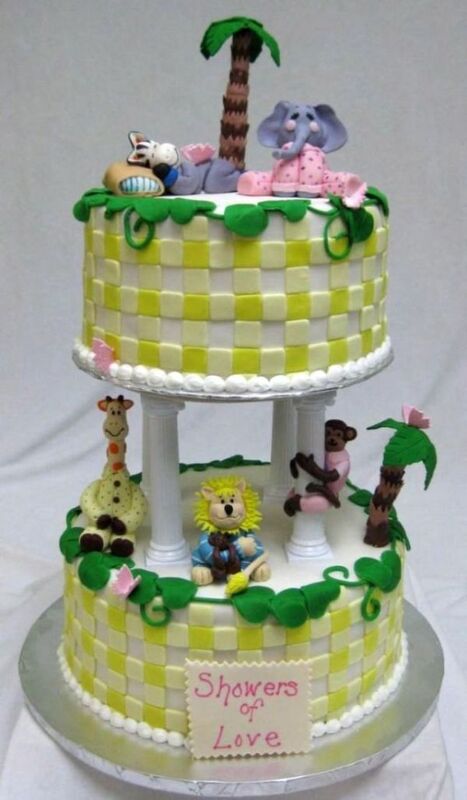 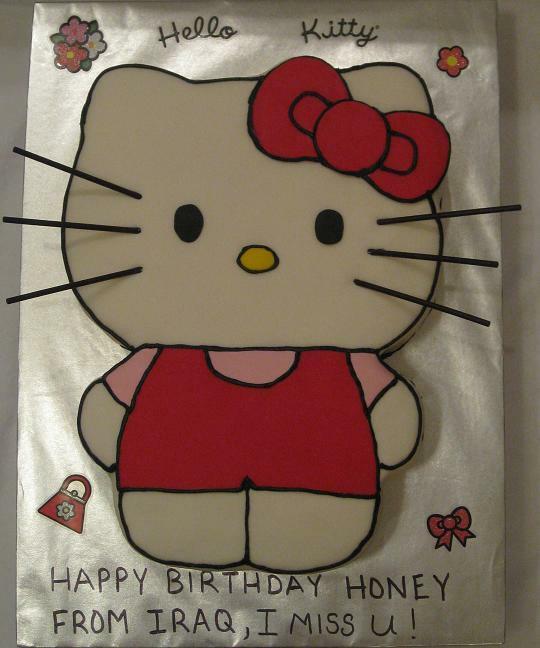 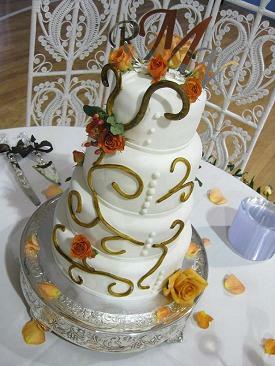 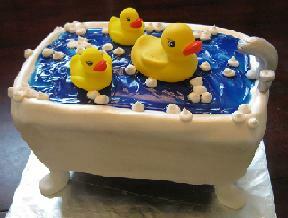 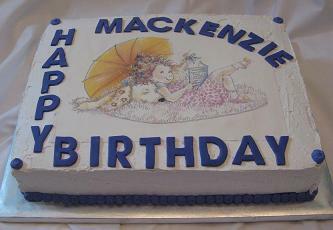 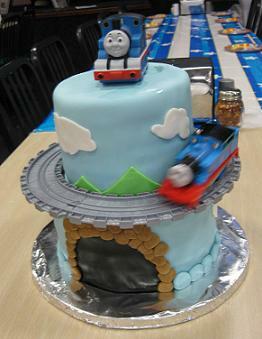 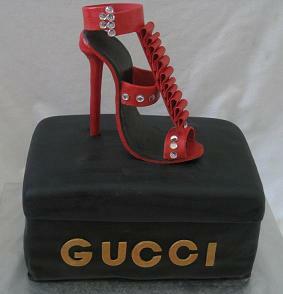 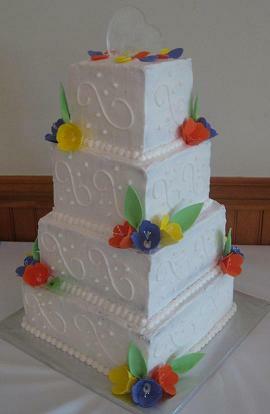 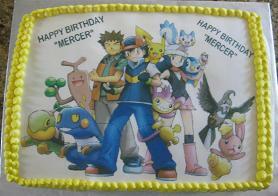 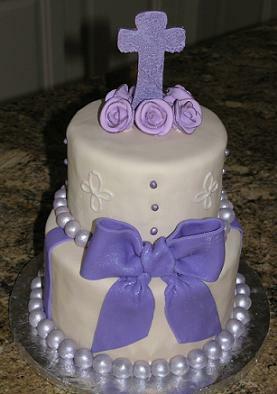 Our cake ideas page is usually updated weekly. Please enjoy the cakes below while they wait to be moved. 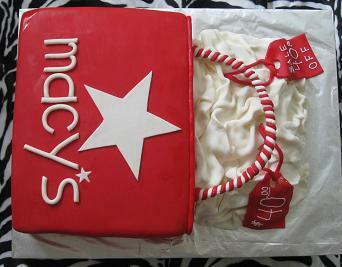 We thank you for your visit and appreciate your business. 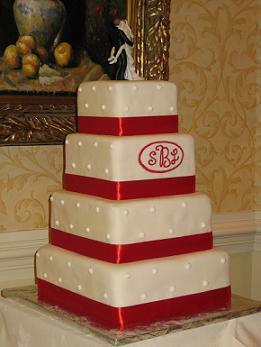 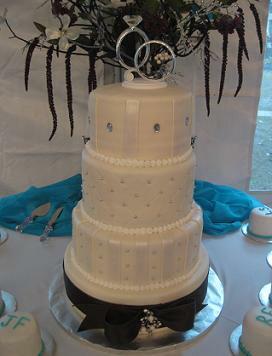 Here is Clay and Brittany's unique wedding cake. 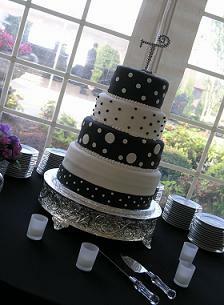 It was a 4 tier black and white wedding cake on one of our new wedding cake stands. 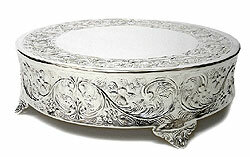 Just added these wedding cake stands to our inventory of wedding cake stand rentals. 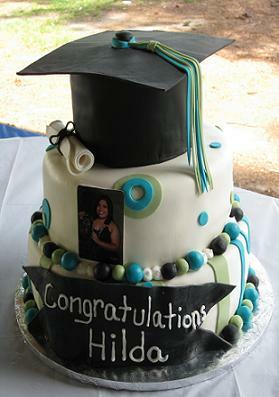 Well, I finally did it! 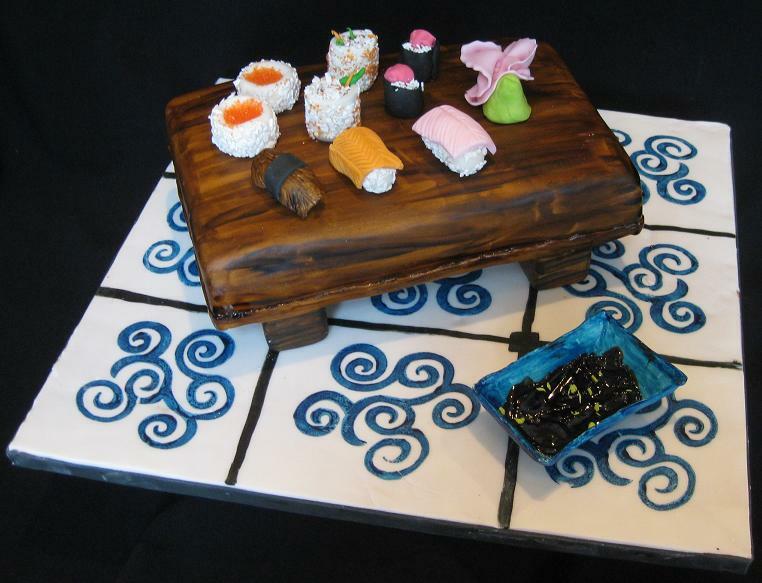 The sushi cake topper is for a grooms cake in Raleigh, NC. 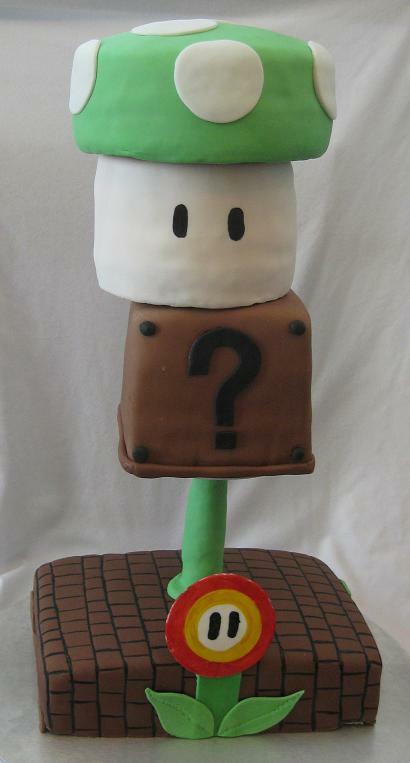 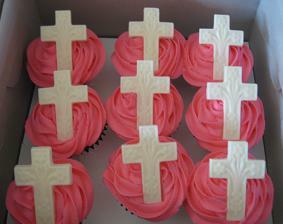 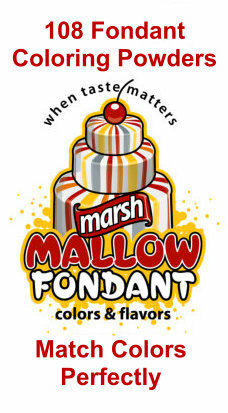 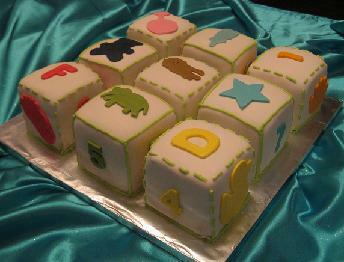 They are all made from marshmallow fondant. I am getting some sushi tomorrow, this has made me hungry! 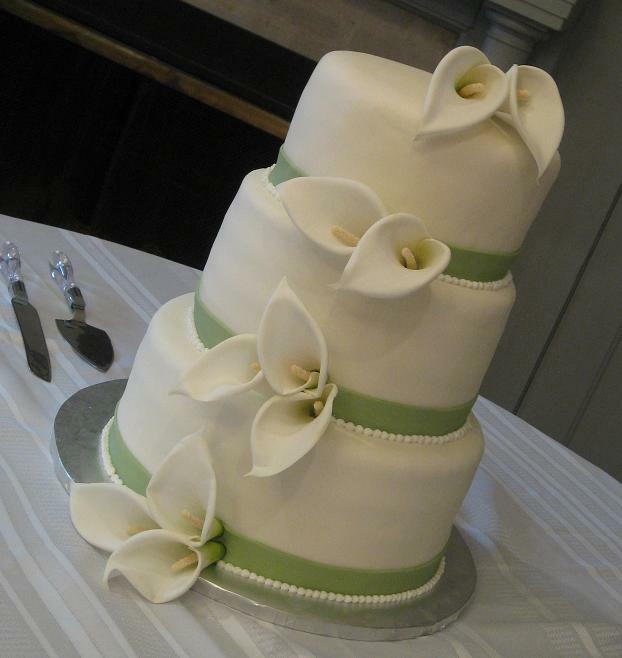 We add and remove the cakes often so we hope you will return often to see our weekly fresh out of the oven cakes. Again, thank you for your business and visiting Piece-A-Cake!